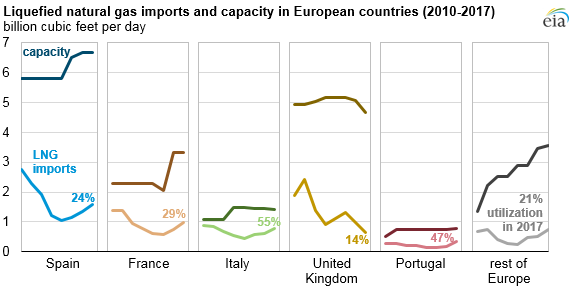 Currently, 13 of the EU-28 member countries import LNG. 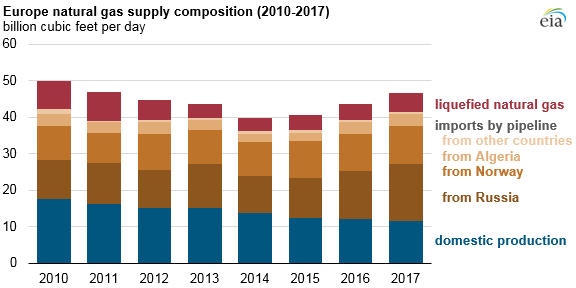 In 2017, LNG accounted for 11% of EU-28's overall natural gas supply. Domestic natural gas production in EU-28, two-thirds of which is in the United Kingdom and the Netherlands, has steadily declined in recent years and in 2017 accounted for 25% of EU-28 natural gas supply. 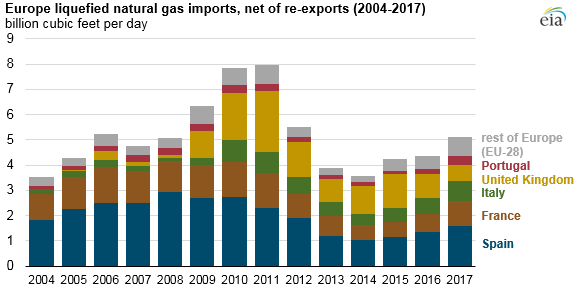 European natural gas production is expected to continue to decline because of an aging, mostly depleted resource base. In addition, the Netherlands' largest natural gas field, Groningen, has been subject to increasingly strict production reduction measures.